The advocacy of women’s rights on the basis of the equality of the sexes. Political, economic and social equality of the sexes. For some reason some men and women don’t like the word feminism or feminist. Predictably, the word has been weaponized by society so a larger block of the population will not subscribe to this beautiful and simple concept of equality for both men and women. It’s a word that has been used to crowbar men and women apart and turn us against each other. But not in surfing. The act of surfing is the perfect example of men and women achieving equality. Waves are not handed out at breaks. Men and women compete against each other for every single wave that rises up out of the ocean. Every surfer in the water has to earn their waves with their courage, strength and skill. 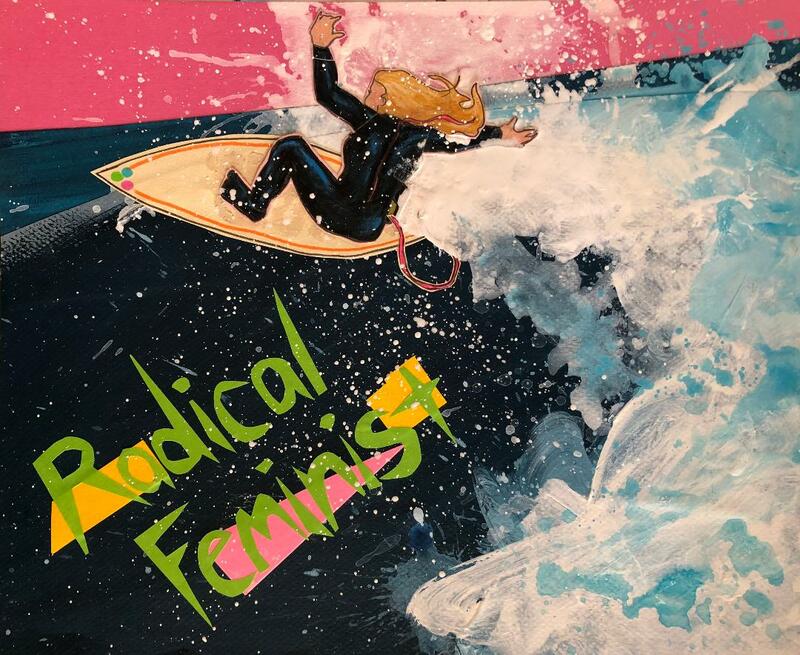 Women surfing is an act of feminism whether we want it to be or not and men being happy for women that surf is an act of feminism whether they want it to be or not. On a big day there is no gender. Waves don’t care who they are wiping out and swallowing up. Men hoot and holler a woman into a big wave as much as they will any man because all are equal at that moment and all are brave. This is important because on dry land men and women will carry that memory of being allies into everyday life. The experience of surfing together will influence who we hire, how we regard each other and how we value each other. And that is totally radical.